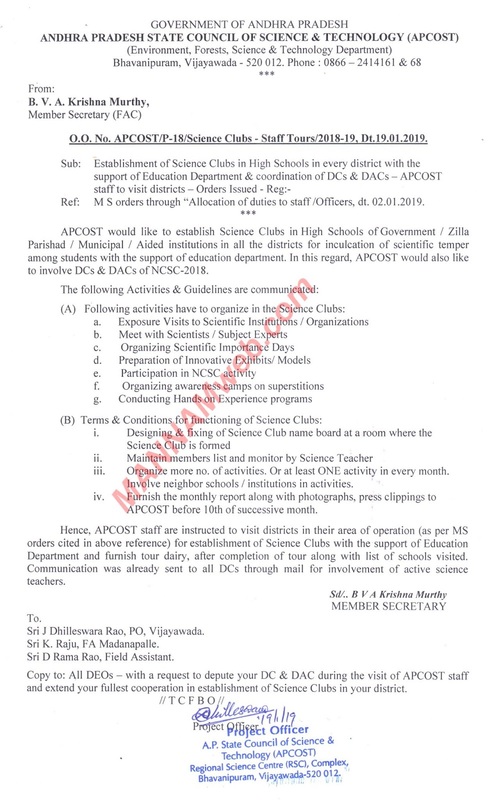 Hence, APCOST staff are instructed to visit districts in their area of operation (as per MS Maintain members list and monitor by Science Teacher Involve neighbor schools institutions in activities. 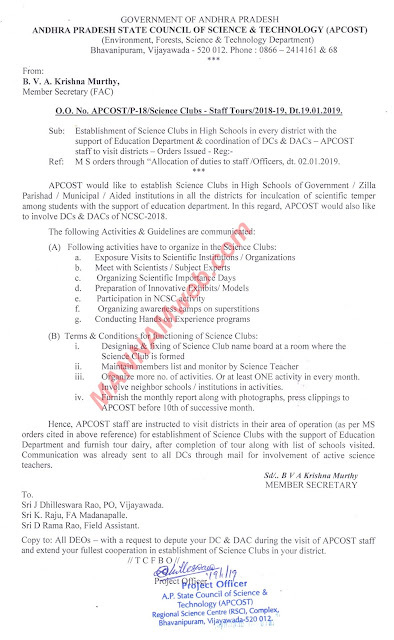 orders cited in above reference) for establishment of Science Clubs with the support of Education Department and furnish tour dairy, after completion of tour along with list of schools visitcd. Communication was alrcady scnt to al DCs through mail for involvement of active scicncc teachers.